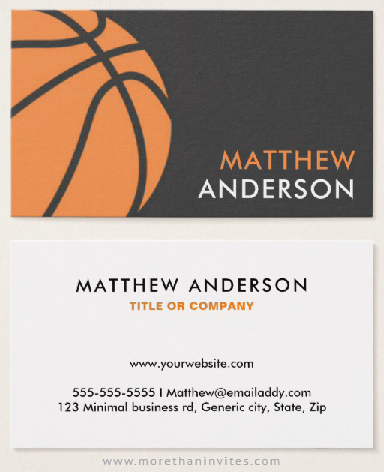 Modern, minimal, professional basketball business cards featuring an orange basketball on a dark gray background. Name and surname on the front. Template fields for name, title/company name/specialty and contact information are on the back. A contemporary design ideal for a basketball coach or basketball player. Available from Zazzle.